Kid Ink is an American rapper, singer, and record producer. He is known for his single Show Me, with Chris Brown. He has many tattoos all over his body. 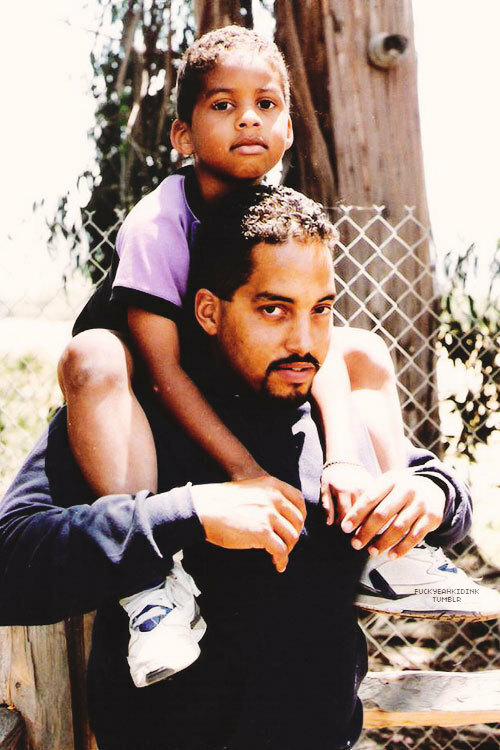 His brother is hip hop musician Juliann Alexander. Their mother is named Tammy Maxwell. Kid Ink has a daughter with his fiancée, model Asiah Azante. Kid Ink’s maternal grandfather is named James A. Maxwell. Kid Ink’s maternal grandmother was Arnett Marshall (the daughter of Oliver Marshall and Mildred Guyton). Kid Ink’s maternal grandfather is James A. Maxwell. Kid Ink’s maternal grandmother was Arnett Marshall (daughter of Oliver Marshall and Mildred Guyton). Correction: he also has Native American & possibly Mexican. And he has Gullah in him I heard. he could be mixed with either white or some type of Spanish, here is a photo of his father here: http://24.media.tumblr.com/2dff478098670a0fef150a786ecd5a2c/tumblr_mpfejmS55C1r7fq86o1_500.jpg His father looks mixed.